We recently heard from a customer requesting a service call. His furnace was not operating properly. It was cycling on and off but not generating any heat. He was fairly familiar with his heating system, but could not figure out what was wrong. When our tech arrived he checked out the furnace but soon after went right to the exhaust vent on the back of the house. The customer assured our tech that the accumulated snow was clear of the vents. However, when our tech took a closer look, he discovered a chunk of ice inside the exhaust vent! This clogged exhaust vent was basically choking the furnace and trapping dangerous gases inside the furnace and ultimately the customer’s home. Direct-venting or side wall vent chimney and flue systems are unique to high efficiency furnaces that are becoming more and more common in our homes. Direct Venting uses a power ventilating blower or fan to cool outgoing gases passing through the building wall (sidewall direct exhaust) or roof or through an existing unused chimney through which a vent pipe is passed . As a nation we have become more and more aware of the need to conserve energy so as we replaced old or inefficient heating systems the venting issue has become significant especially in regions where snow and ice buildup is present. These new venting systems are a method of venting the exhaust gases from a heating appliance directly out through the side wall of a building while eliminating the need for a vertical chimney of any sort. If you have a newer furnace, check the back or side of your house for white PVC piping or “dryer” type vents coming through or attached to the siding or brick surface of your home. Venting is not specific just to your furnace. Water heaters, other energy-saving appliances as well as high efficiency furnaces, may have exhaust vents that exit your building through an exterior wall rather than through a chimney. Periodically check for snow or ice like we see in this picture and be sure it is not blocking the vent. In most regions where heavy snows are common, the building codes require vents to be a certain height, but blowing and drifting snow can easily accumulate above the building minimums. 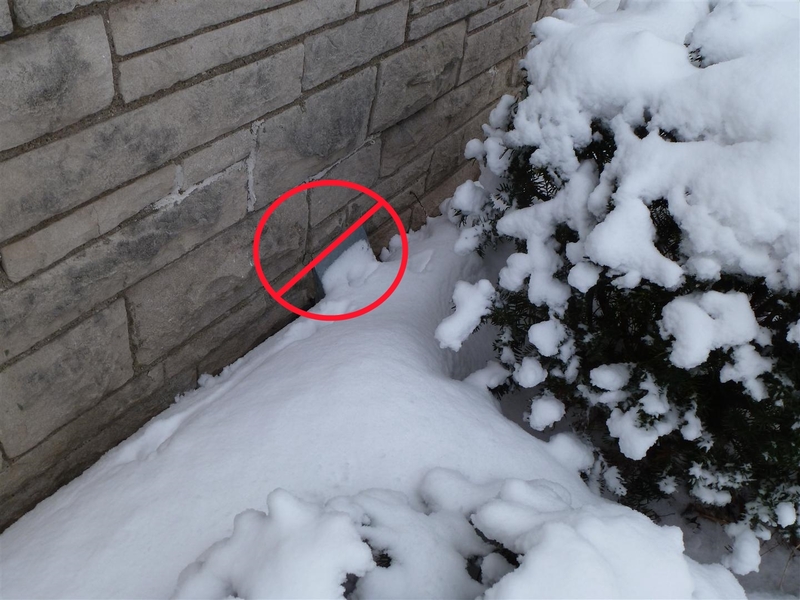 So, in geographical areas with considerable snowfall, it is advisable to locate the vent terminal much higher than the minimum (normally 12-inches above ground) to prevent blockage by snow accumulation or drifting. Let your technician know if snow could be an issue when doing an installation. For at least some heating appliances and manufacturers, and to solve vent clearance difficulties when your installation cannot meet the specifications in the Gas Code, manufacturers’ specifications, or local building codes, roof vent termination kits are available. In order to keep snow away from sidewall exhaust vents you might make a simple A-Frame to protect and deflect the snow from a low sidewall vent. Building a side barrier like a sheet of plywood or canvas will work too. Simply pound a couple of stakes in the ground a few feet away from the vents and secure the barrier to the stakes. It might not look real pretty, but it will help keep snow from blowing into the vents. But honestly, if you periodically take a walk around your house throughout the winter and check out the vent, you should be fine. Being a little proactive will go a long way to protecting your appliances and family. Your furnace works hard all winter to keep you warm. Be comfortable and safe. 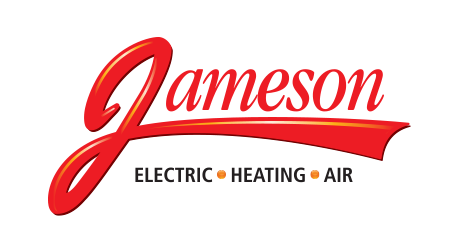 Call for a furnace vent check or click here to learn more about our furnace maintenance services.